“It is extraordinarily difficult to explain in words or writing the exact fascination of a big, fast car of the type so ably represented by the big Bentley speed model.” So said the reviewer in the British motoring magazine “The Autocar” edition of September 5th, 1930. Yet the sheer sight of a car like a Bentley Speed Six is going to ensure that any classic car enthusiast will want to get a closer look, will want to see if they can have a drive, and will likely check their bank account balance to see if they can acquire one. 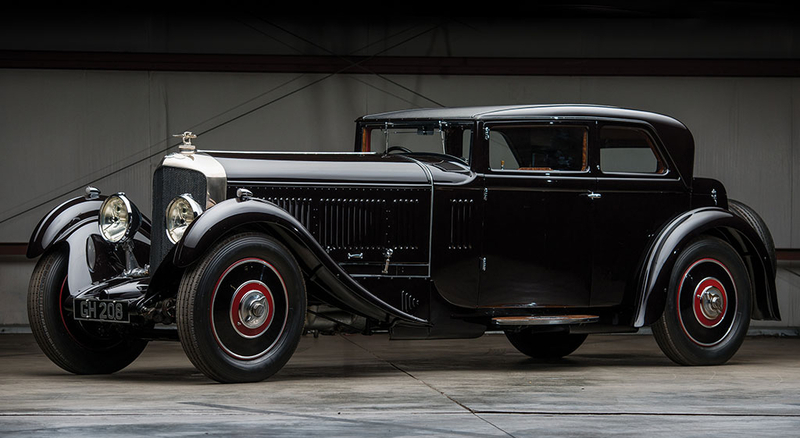 Of all the pre-war Bentleys, and arguably of all the post-war Bentleys also, the speed six exemplifies all that a gentleman car enthusiast looks for in an automobile. 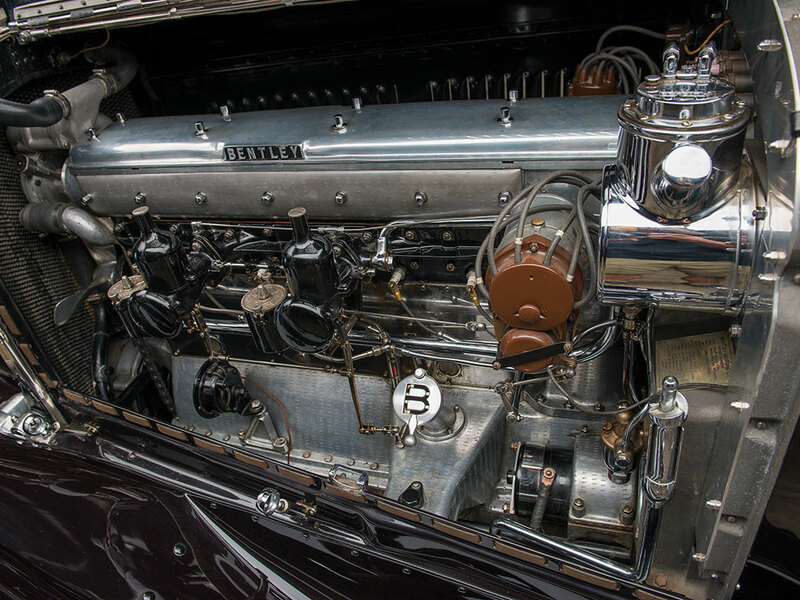 This Bentley 6½ litre Speed Six is the sort of car classic enthusiasts dream about. The Speed Six was W.O. Bentley’s favorite car and with good reason. Not only was it the epitome of twenties and thirties Bentley style but this truck of a car won the 1929 24 Hours Le Mans with Bentley chairman Woolf Barnato and Henry Birkin at the helm, and the 1930 Grand Prix d’Endurance at the Sarthe with Woolf Barnato and Glen Kidston driving although in that race the victory was very much a team effort with the three cars of the Bentley team working strategically to force the failure of the more powerful supercharged Mercedes SSK driven by Caracciola and Werner. This was a big sporting car with proven competition credentials. 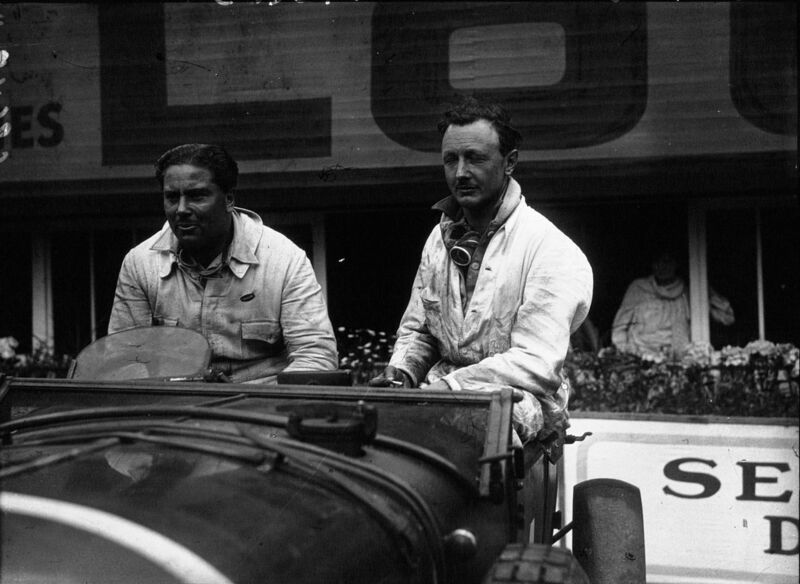 Woolf Barnato and Henry Birkin covered in brake dust but victorious at the 1929 Le Mans in their 6½ liter Bentley Speed Six “Old Number One”. (Picture courtesy Gallica Digital Library). The idea that led to the creation of the Speed Six can be traced back to an impromptu road race that occurred in 1924 when W.O. Bentley was on a trip to the French Grand Prix in Lyon. The car that W.O. Bentley was driving was a disguised works prototype which had been registered as a “Sun” and was being used as a development car then fitted with a new six cylinder 4¼ liter engine and a very lightweight Weymann timber and fabric body by Freestone and Webb. On his way back from Lyon W.O. Bentley encountered a disguised prototype Rolls-Royce at a three way junction and so, boys being boys, they got into racing each other and had a marvelous time until the Rolls-Royce driver’s hat blew off and he decided to abort the race and go back for it. The little friendly race taught W.O. Bentley something important however and it was not that one should always wear a hat with a chin strap when racing (he probably knew that already). The experimental “Sun” Bentley had no speed advantage over the developmental Rolls-Royce; W.O. Bentley realized that he was going to need a much more powerful engine to compete with the new models that would be appearing on the showroom floors and on the race tracks. The 6½ liter six cylinder engine of the Speed Six with twin SU carburettors, high performance camshaft, and switchable magneto or coil ignition produces 180 hp @ 3,500 rpm. Back at the workshop W.O. Bentley increased the bore of the new 4¼ liter six cylinder engine from 3.1″/80mm to 3.9″/100mm making capacity a healthy 402.6 cu. in./6,597cc or 6.6 liters with a 5.5″/140mm stroke. 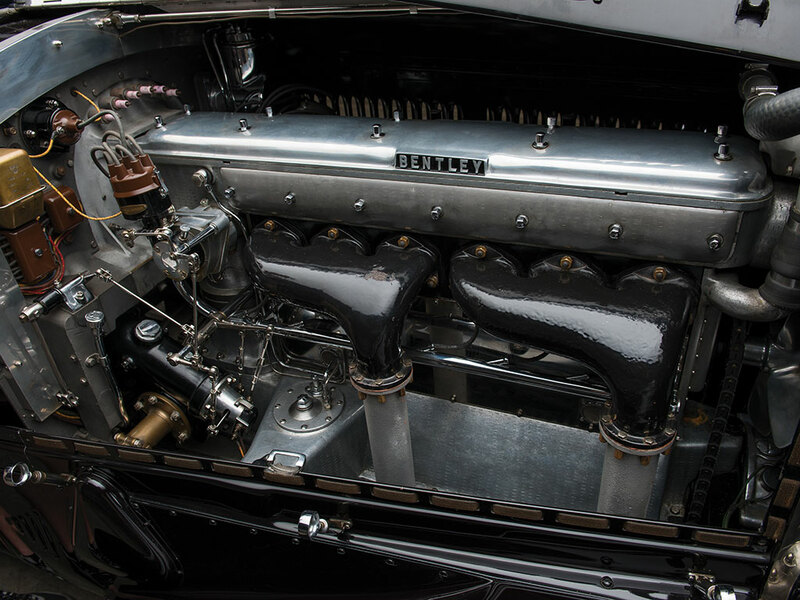 Bentley’s new engine was a sophisticated unit with an overhead camshaft and four valves per cylinder. The cylinder head and engine block were cast as one piece in iron so there was no head gasket to fail. The first prototype had a compression ratio of 4.4:1 and was fitted with a Smiths 5-jet carburettor and twin ignition magnetos giving it a power output of 147hp @ 3.500rpm. This engine was installed in the Bentley 6½ liter saloon cars. Right side view of the 6½ liter Speed Six engine. The pink insulators on the spare spark plugs mounted on the firewall indicate they are probably Golden Lodge, otherwise known as “The Spitfire Plug”. W.O. Bentley did not stop at his first version of the engine or the car however and moved to create the Speed Six chassis next with an uprated version of the 6½ liter engine. This new version of the engine sported twin SU carburettors in a single port block, an upgraded camshaft, compression ratio increased to 5.3:1, and producing 180bhp @ 3,500rpm. This was an engine for winning races even if the other driver’s hat did not blow off. 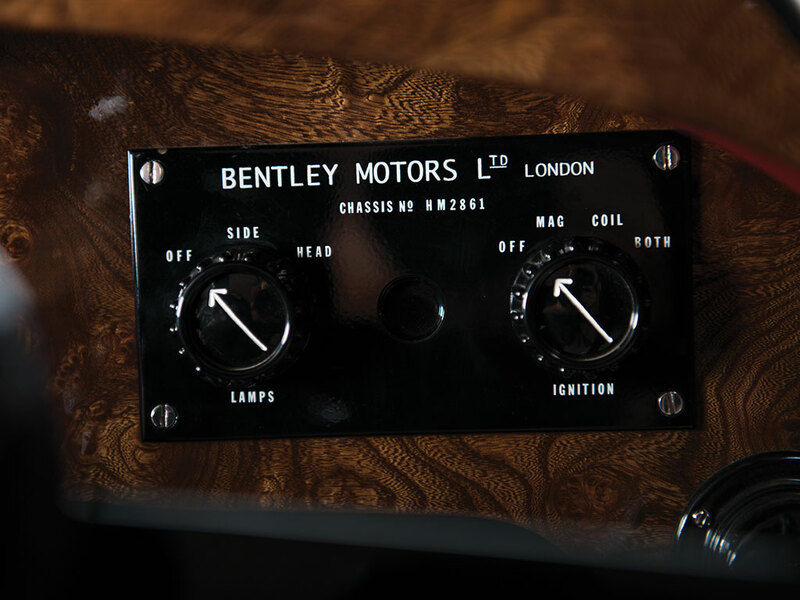 The new Bentley engine featured twin ignition systems and, as can be seen, the driver could choose to use magneto, coil, or both. The Speed Six was made available in three chassis lengths; 138″, 140½”, and 152½”. The Speed Six was the car that Woolf Barnato used in his famous race against the Blue Train, a race for which the French authorities decided to fine him a hefty amount, but it was undoubtedly worth it for the near priceless publicity it gained for Bentley and the 6½ liter Speed Six. A couple of months after racing the train and upsetting the French authorities Woolf Barnato took delivery of his own Bentley Speed Six with coachwork by Gurney-Nutting which he named his “Blue Train Special“. 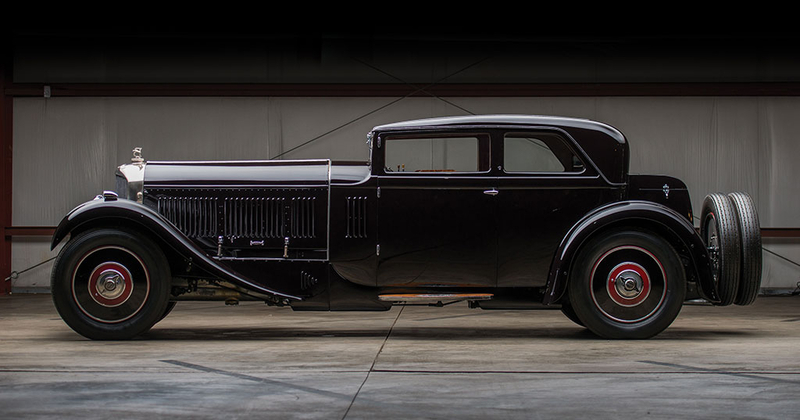 The coachwork on that car is similar in style to that on the car in our pictures. This 6½ liter Corsica Speed Six Sportsman’s Saloon is fitted with twin spare tires; something Woolf Barnato could have used during his Blue Train race as he blew a tire just outside Paris. The car in out pictures was constructed with all of the Le Mans updates, including the stronger camshaft, 25 quart oil sump, and type “C” gearbox. The chassis was sent to Corsica Coachworks of London to be fitted with unique coachwork in some respects reminiscent of the “Blue Train Special” coachwork although with a character all its own. 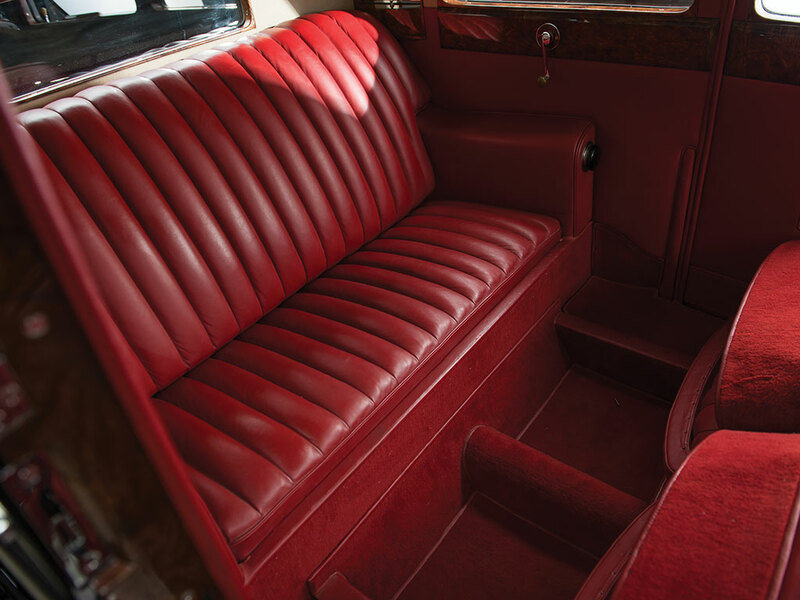 With its low roofline five passenger sportsman’s saloon body with a split windscreen this car has a startling and business like character and is amongst the most interesting Bentley 6½ liter Sportsman’s Saloons constructed. 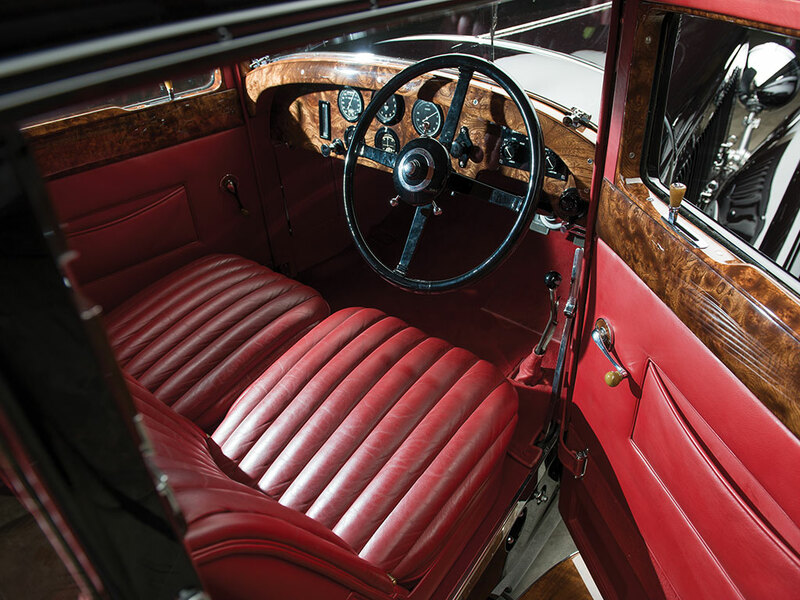 The interior of this 6½ liter Sportsman’s Six is pure bred Bentley with gorgeous use of wood veneer. Originally owned by J.W. 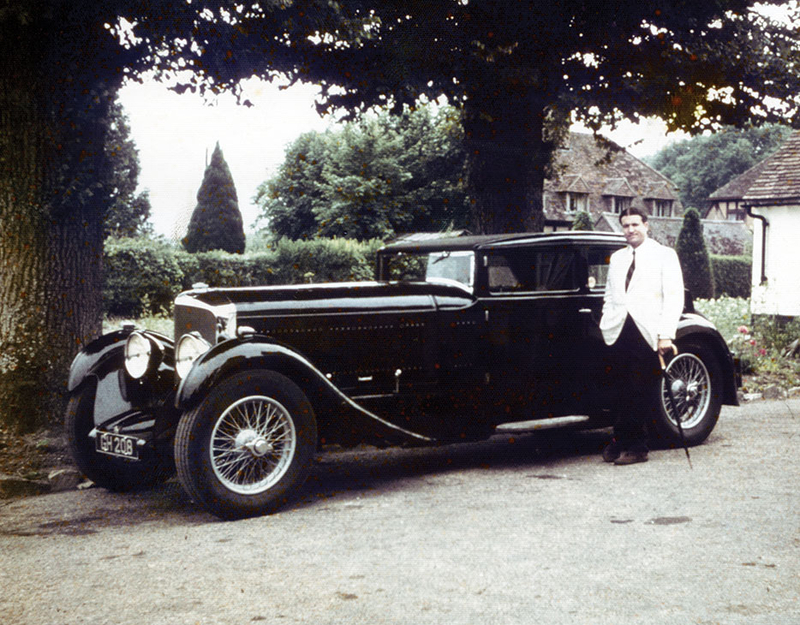 Bealey of Little Minthurst Farm, Charlwood, Sussex, the Bentley was purchased in 1958 by Mr. Hugh Young (Pictured in the feature image at the head of this post) who drove and enjoyed it so much that he and his wife Ursula decided to take it to Canada in 1959 traveling in the hold of a cargo ship and then driving the car from Montreal to Winnipeg via the United States. The car was sold in 1976 to Bentley and Rolls-Royce enthusiast Barry Cooney from Oregon who drove it extensively just enjoying the car and its character and showing it at selected venues. Rear seats of this Bentley are comfortable and there is ample room in the car for long distance travel. In 1984 the Bentley was again sold, this time to collector Gordon Apker who kept the car for a couple of decades, during which time it was displayed at Pebble Beach in 1985 side by side with the fabled “Blue Train Special“. The car was acquired last by its current owner who had restoration work done on it in the 1990’s including fitting the disc wheel covers the car now wears. 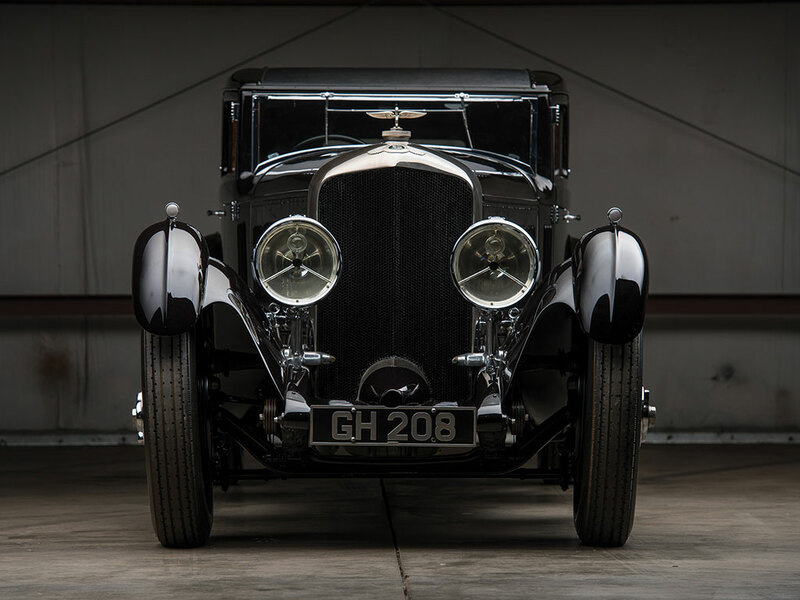 This Bentley 6½ Liter Speed Six Corsica Sportsman’s Saloon registration number GH 208 has become a well known head turning car at concours events. 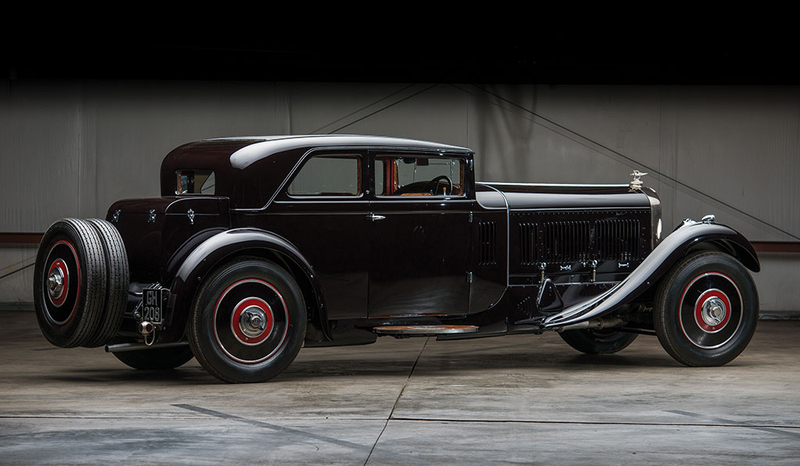 This Bentley 6½ Liter Speed Six Corsica Sportsman’s Saloon registration number GH 208 is coming up for sale by RM Sotheby’s at their Monterey auction to be held August 18th-19th, 2017. Expected sale price is in the range USD$3,500,000 to $5,000.000. Of all the Bentley’s ever built this is a very significant automobile. (All photos credit Darin Schnabel ©2017 Courtesy of RM Sotheby’s other than feature image at the head of this post courtesy Hugh Young and the current owner, and the picture from the 1929 Le Mans).